Duinrell holiday park in Wassenaar is one of the most popular amusement parks in the Netherlands and is located on one of the most stunning stretches of the Dutch coast. If you are searching for child friendly holidays then Duinrell is the place to be. Situated in the south of Holland, the affluent Dutch town of Wassenaar is surrounded by dunes and white sandy beaches. Wassenaar is well known for its beautiful churches, fantastic shopping and lively atmosphere. 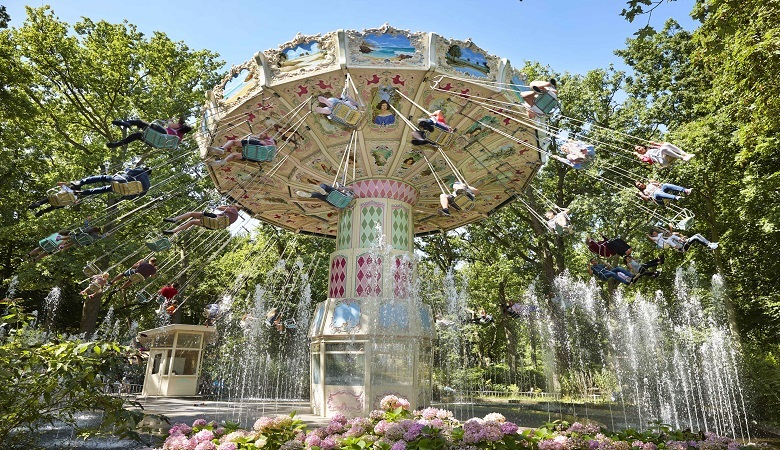 Duinrell theme park in Wassenaar boasts over 40 rides and attractions as well as some highly entertaining live shows. A place that is full of adventure and fun for the whole family and people of all ages. 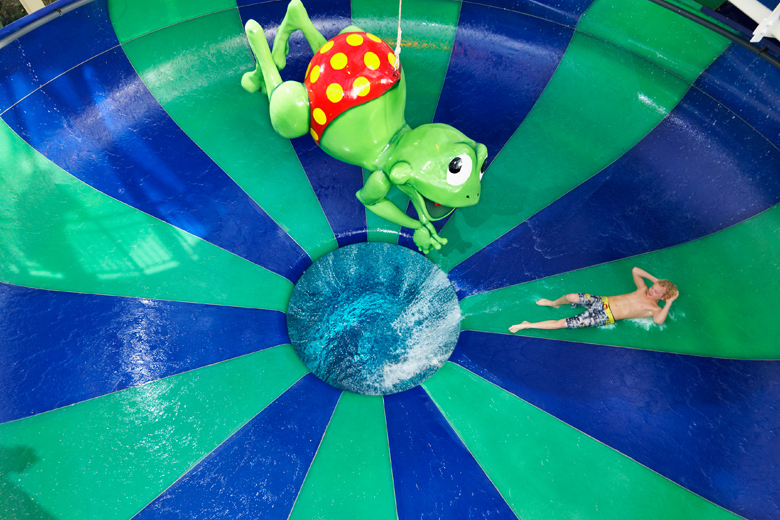 As soon as you step foot into the Duindrell park, you will notice Rick, the green frog who is the holiday park mascot. Rick’s Fun Factory, as its name suggests, is a fun indoor play area for kids of all ages. After a day full of adventure you can grab a lip-smacking bite at the La Place restaurant; Belgian fries, homemade pastries, refreshing drinks, and much more. The best part is that the restaurant is located within the Duinrell holiday park, which means you do not have to go far. 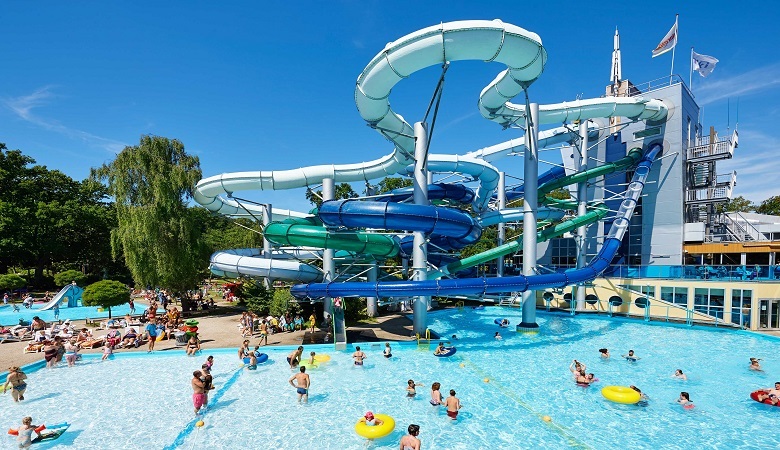 Family holidays are not complete unless there is a fantastic water park involved and Duinrell water park offers just that with its 16 unique slides. All the slides are located in the Tiki pool which is the largest indoor waterslide paradise in the Benelux area. Other than the slides, the typhoon and the lazy river are also part of the park’s highlights. The slides are adapted to your needs, be it fast, relaxed, or slides that you can experience together with your loved ones. Toddlers can also safely splash around at the indoor water park which has safe slides and all the aquatic fun they could desire including heated play pool. The view of this majestic water park can also be enjoyed from the La Place restaurant. The water paradise as well as large playground are open all year round which means you can plan your Duinrell holidays any time of the year. 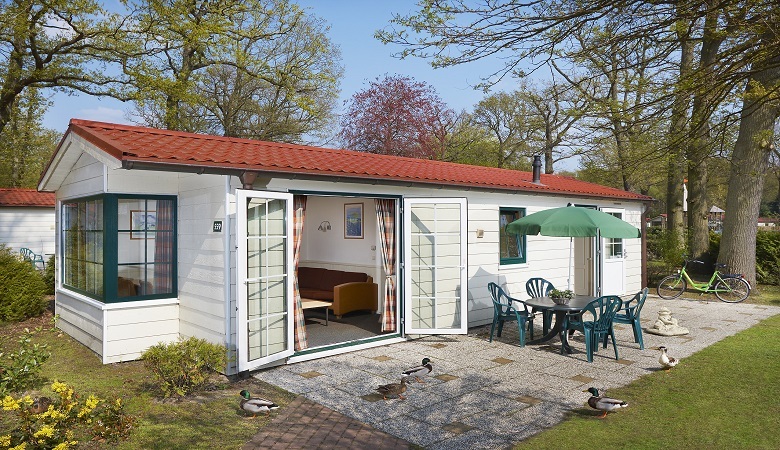 Duinrell holiday park offers comfortable and spacious mobile homes for the perfect family getaway. Other than fully-equipped kitchens, these accommodations also feature garden patios with garden furniture. The perfect setting to enjoy your morning coffee or a hearty meal with the family! The mobile homes are also equipped with modern bathroom facilities, comfortable beds and cosy living areas. To top it all off, staying at the mobile homes grants you unlimited entry to the amusement park. At HolidayparkSpecials, we offer Duinrell mobile homes for a fraction of the usual price. Why not plan a weekend trip for just £298 for 4 people? Or only £317 for 6 people! Have a look at our prices for more lucrative offers and enjoy a fantastic family adventure on the Dutch coast. Ready to book your next family holiday? Are you interested in booking a stay at other theme parks? 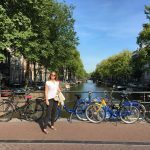 Browse through our top theme parks in Holland to enjoy an exciting family vacation.